CutiePi314 earned $77,000 for the win in this tournament, defeating Antoshka. After his win, CutiePi314 has $326,912.49 in tracked cashes in online poker tournaments by PocketFives across 90 cashes, including $230,170.85 on PokerStars. The top three finishers in this tournament won a combined 50.37% of the prize pool. Non-PocketFivers at the final table combined for a total of $84,053.20. 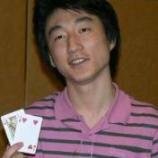 ch0ppy, ranked #20, was the highest ranked player in the PocketFives Rankings at the time this tournament took place to cash. Top performing countries in the The Super Tuesday [$1, 050 NLHE] event included Canada, the United States, France, and Costa Rica. The average cash in this tournament was $6,844.44. PocketFivers combined for $184,676.80 in winnings from this tournament.